Using one of those “Car” thingys? We are very easy to find! We are found on the A44, Only 15 minutes from Aberystwyth and only 45 minutes from Aberaeron, Machynlleth and Rhayader. We also have plenty of FREE parking! For those magical satnavs put in postcode SY23 3AB. 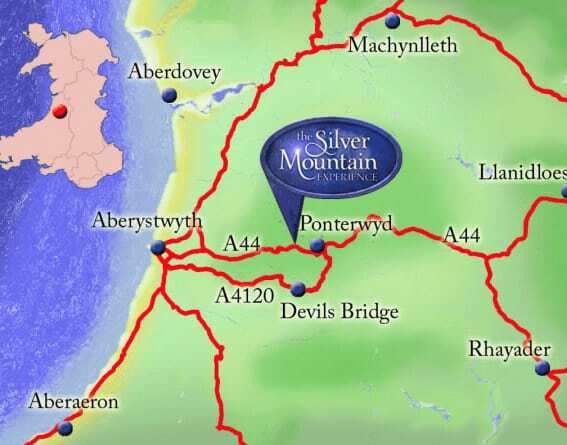 Many wonderful creatures visit us using the Bus, A service named the 525 from Aberystwyth to Llanidloes stops right outside the Silver Mountain Experience (Llywernog Silver Lead Mine). You can find the timetable here on the Traveline Website. 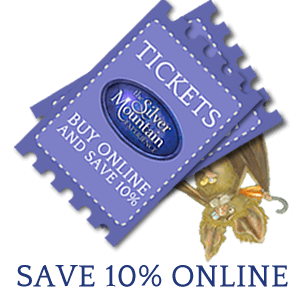 The Silver Mountain Experience is a fantastic family day out in mid-wales, filled with history, myth, legend and more. We are very proud of our Welsh Mining Heritage, and our site based in Ponterwyd, Aberystwyth, lies the beautifully preserved Llywernog silver-lead ore mine. Spend an afternoon exploring this historic site, experience one of our guided tours and more. Children can enjoy our Dragon's Tale adventure, with a new story for 2018, whilst those who are feeling brave can venture into the mines and take the dreaded Black Chasm tour. As well as all of this, we have a variety of other interactive attractions such as Time Lab and our creative den, so why not join us for an afternoon of fun, deep in the Welsh mountains!